Yes, it's the season for monkfish now! 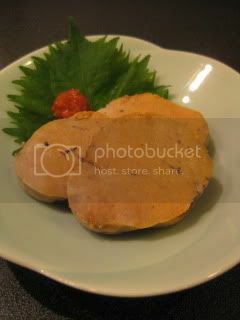 I was excited to find fresh ankimo (monkfish liver) at a store today, so I picked up a piece to make steamed ankimo with my donabe steamer, "Mushi Nabe". 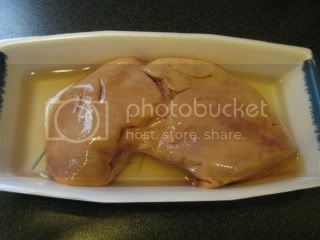 After picking up veins with a knife, put the fresh ankimo in a plastic bag and add 2-3 teaspoon of soy sauce. 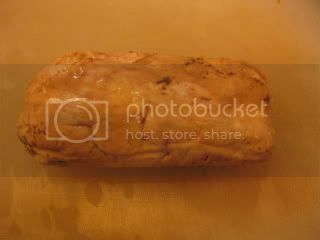 Let it soak for a few minutes. 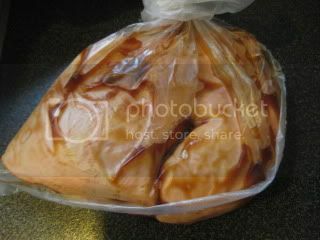 Rinse off the soy sauce and let the ankimo in sake for 10-15 minutes. Meanwhile, turn it a couple of times. Wrap the ankimo in a piece of plastic wrap so that it forms like a log. 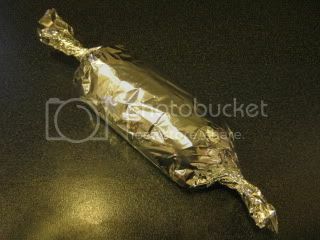 Wrap again with aluminum foil. 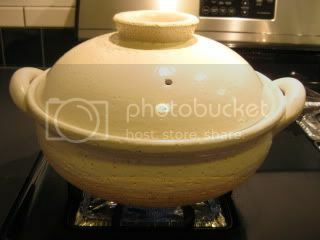 Get Mushi Nabe ready by heating the water in it until it starts steaming. 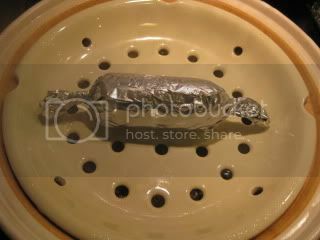 Put the wrapped ankimo in it and steam over medium+ heat for 20 minutes. Take it out and let it cool down. 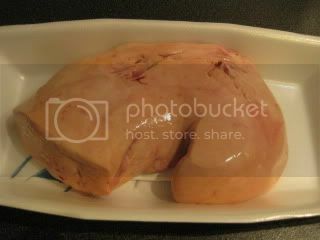 Then, refrigerate it until it's completely chilled. 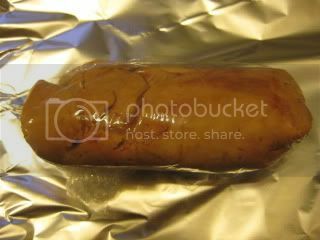 Remove the foil and plastic wrap from ankimo. Slice and serve. My homemade steamed ankimo was ready! 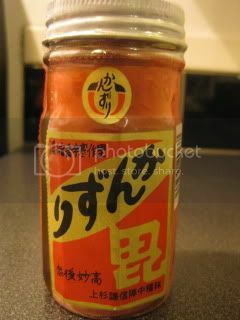 I served it with shiso and Kanzuri, which is a type of chili paste condiment from Niigata, Japan. It's made by leaving red chili peppers in the snow, and mixed with rice koji, yuzu & salt, and was aged for 3 years. This is a beautiful condiment with rich flavor but the heat is not overpowering. It's much milder than yuzu kosho and has the slight sweet character from rice koji. So, Kanzuri enhances richness of ankimo and the combination is perfect. In a Japanese science program I watched recently, I learned that ankimo has the highest DHA (Omega 3) content among all the food...even much higher than ikura (salmon roe) or o-toro (fatty tuna)! So, I want to eat my homemade steamed ankimo every day while in season.